An automated driveway gate or access gate can help secure a commercial property along with your perimeter fence. A chain link gate with a utilitarian look and a visible access system will provide a first impression of a safeguarded area. An ornamental gate made from aluminum or steel will make a more welcoming statement while providing the necessary security. Selecting the right gate and automated system will help prevent traffic congestion and help improve the security of your facility. The complexity of your specific system depends upon traffic, gate size and style, driveway grade, and desired security level. We will work with you to create a complete turnkey system consisting of a gate, operator, and access control unit. We know that workplace safety is a top priority. 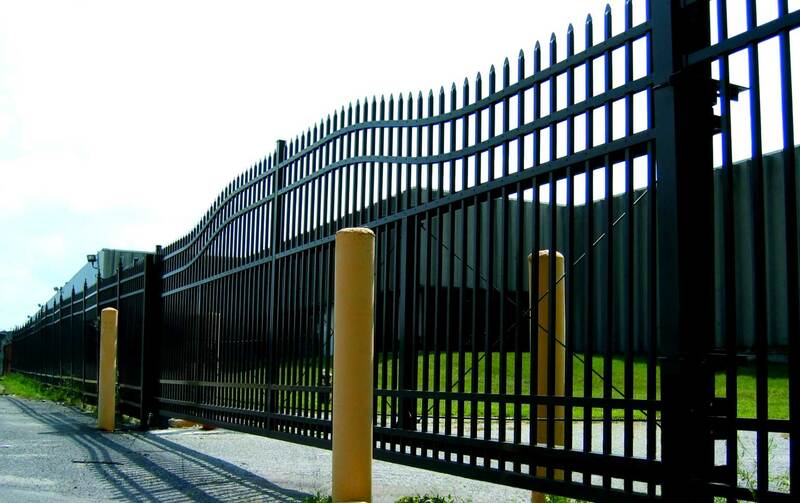 This is why our Gate Options division has implemented the UL325 & ASTM standards for gate and operator installation to ensure the safety of your employees and property. Learn more about our automated gates at Gate Options, our gate operator division.